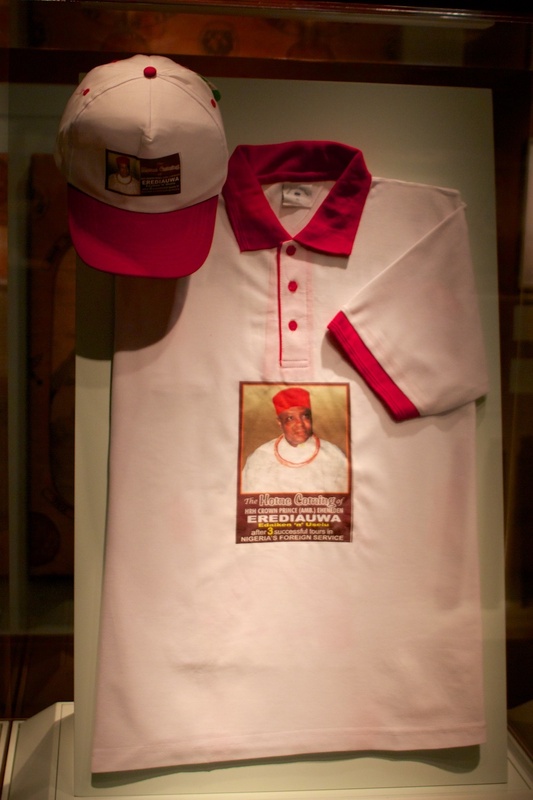 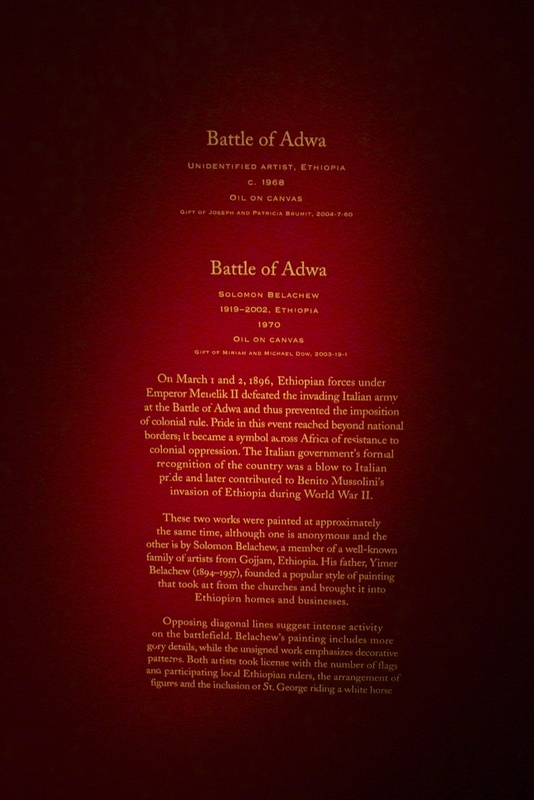 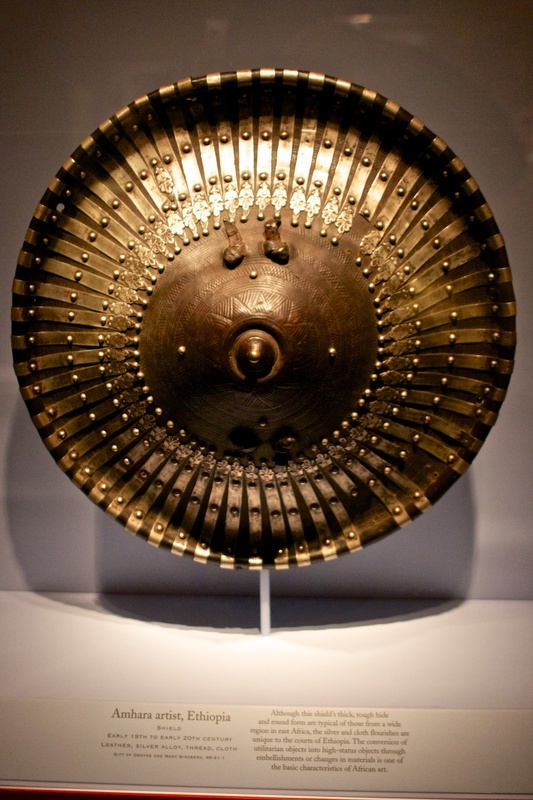 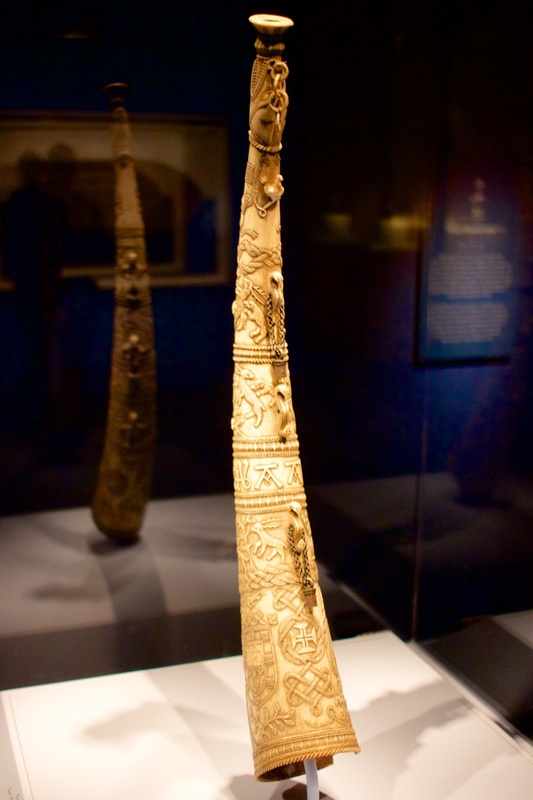 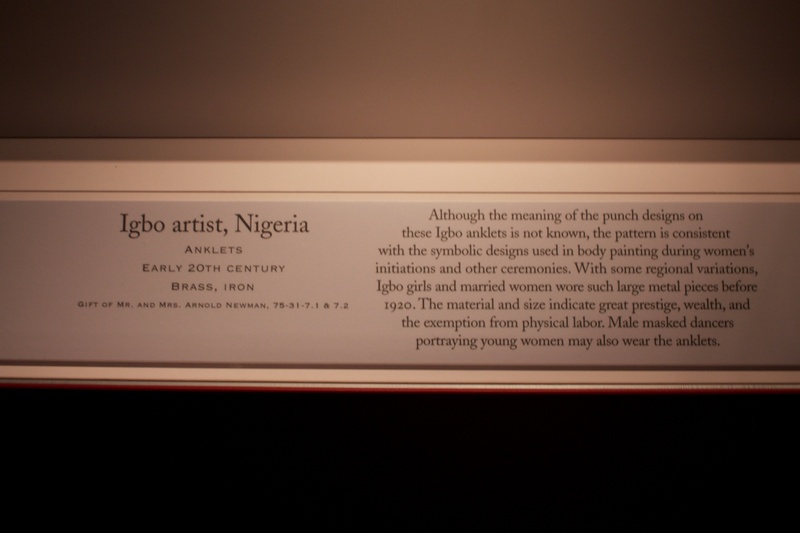 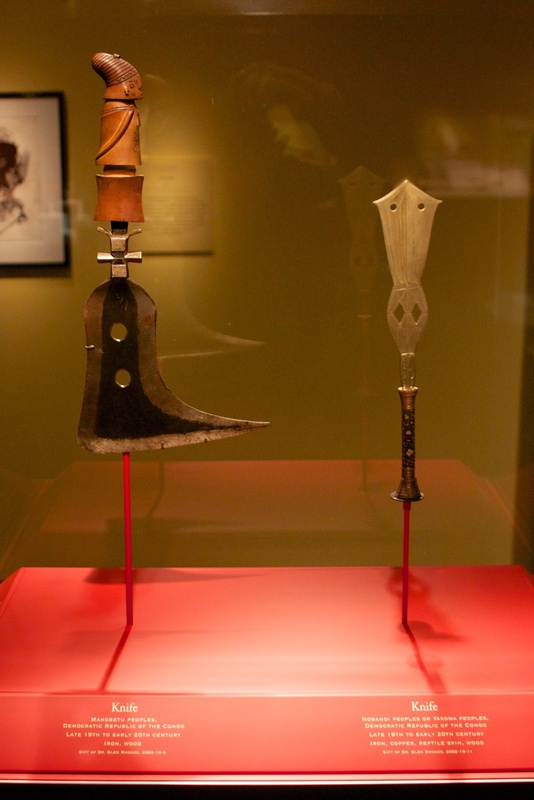 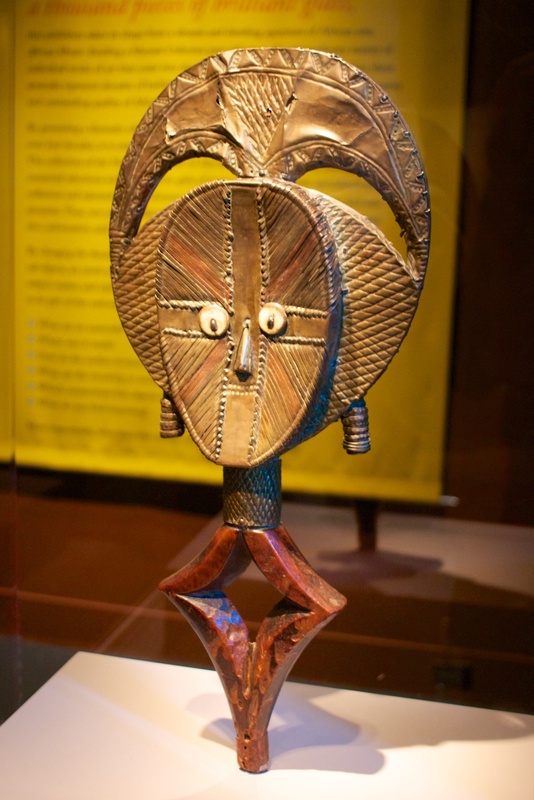 The Smithsonian National African Art Museum has a lot in common with the Sackler Gallery. 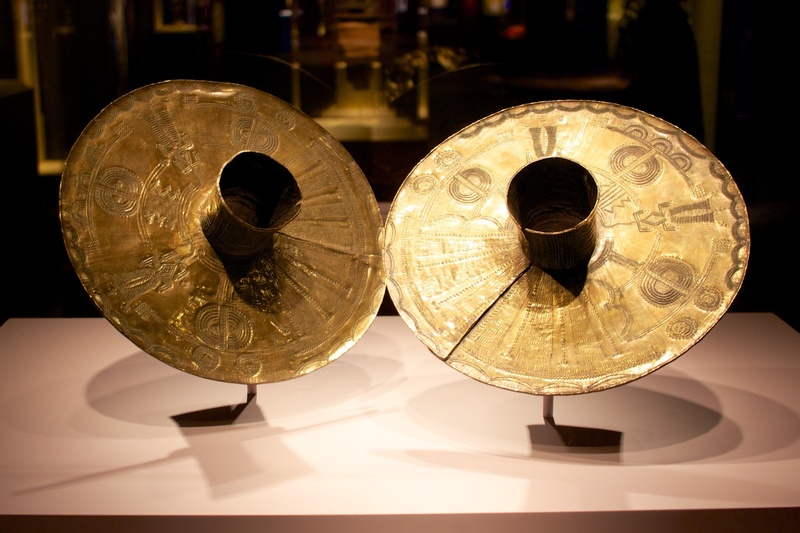 For one, they have entrances in the same area that mirror each other and they both have very small above-ground buildings that open to larger underground galleries. 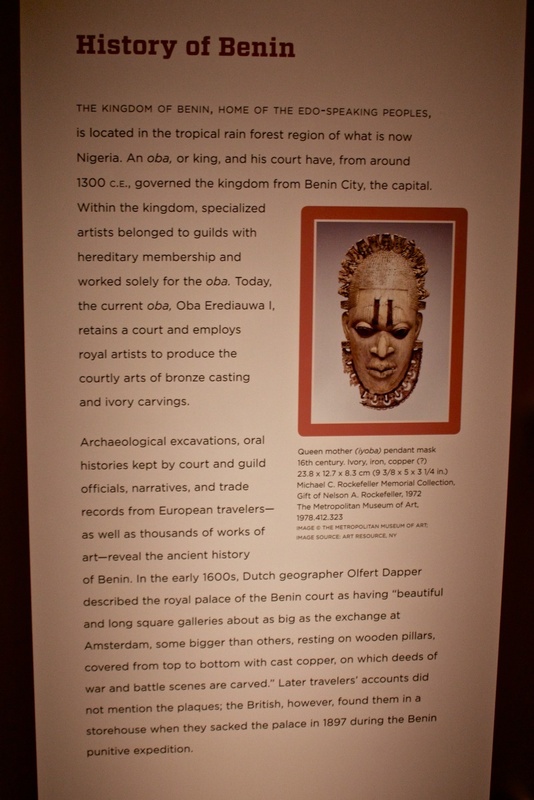 In fact, the African Art Museum and Sackler Gallery are connected by an underground walkway making them excellent touring partners. 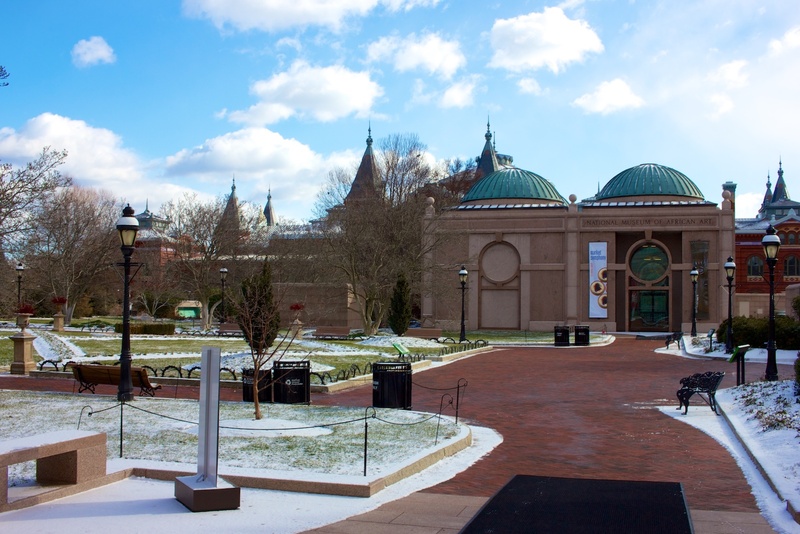 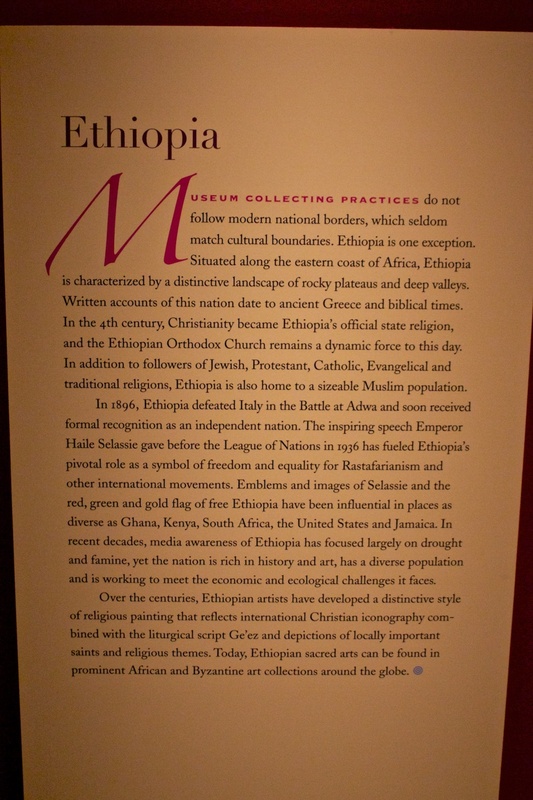 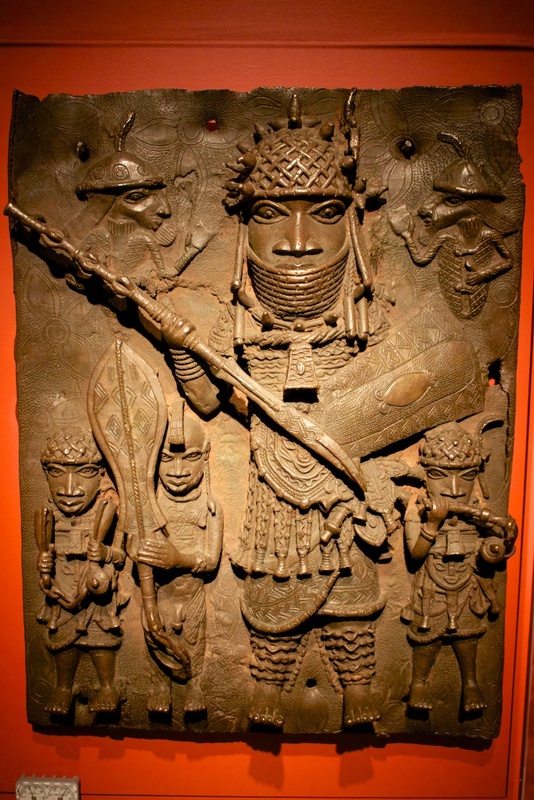 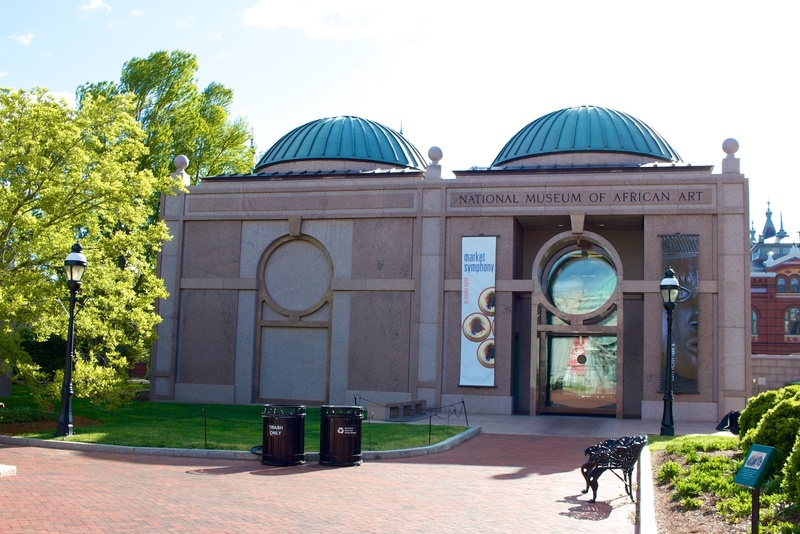 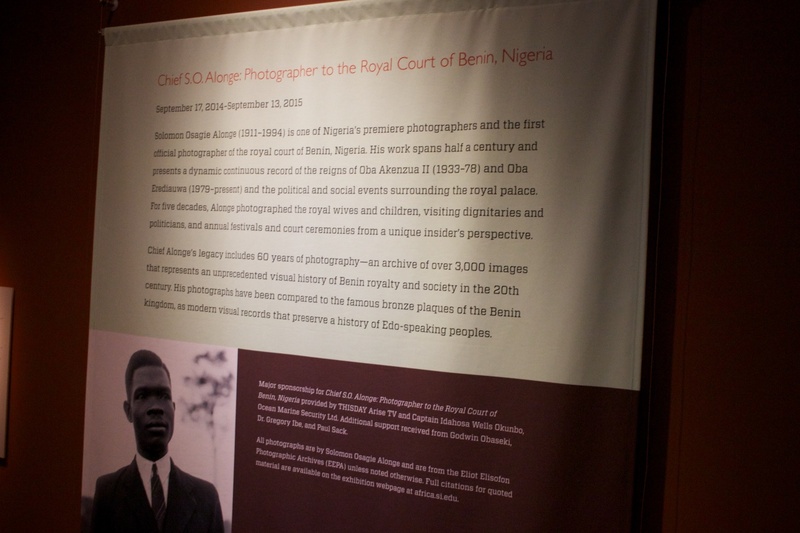 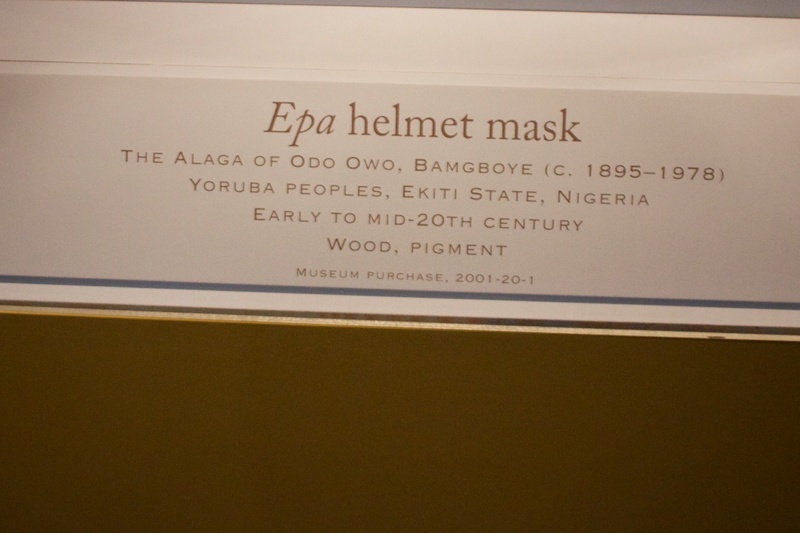 The African Art Museum showcases art and artifacts from the continent of Africa, specializing in sub-Saharan Africa. 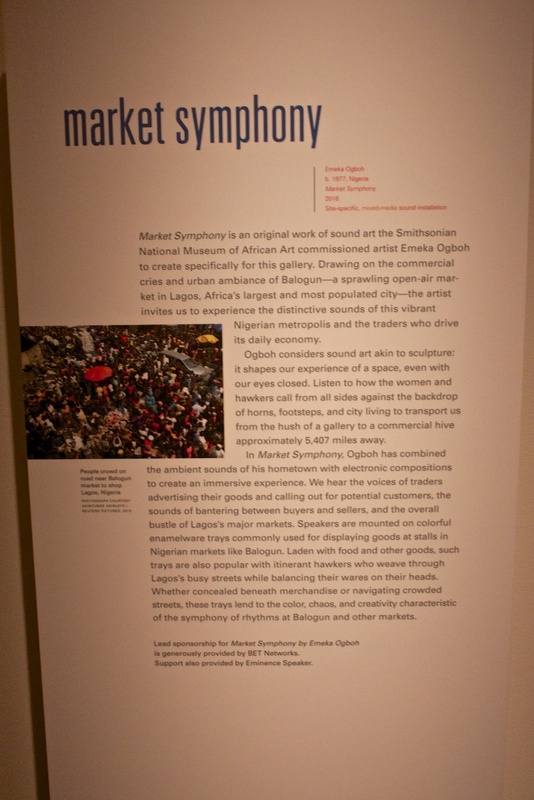 It is one of the only museums in the United States that showcases exclusively African contemporary artists. 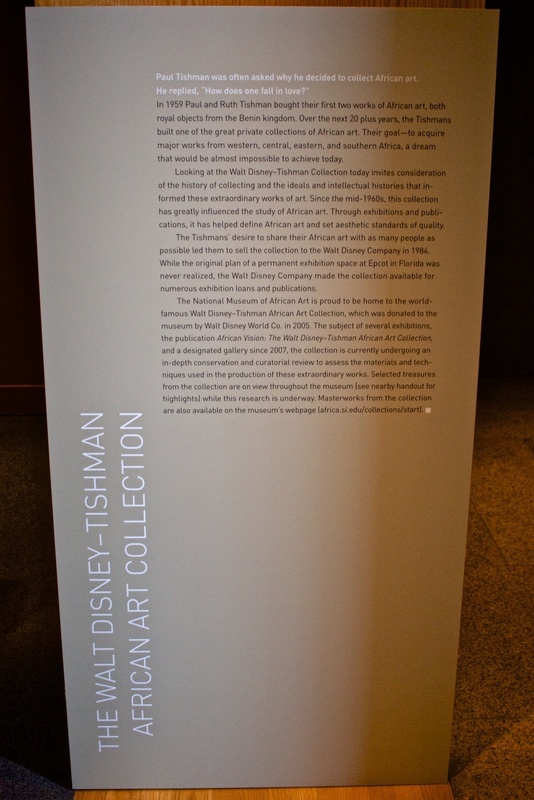 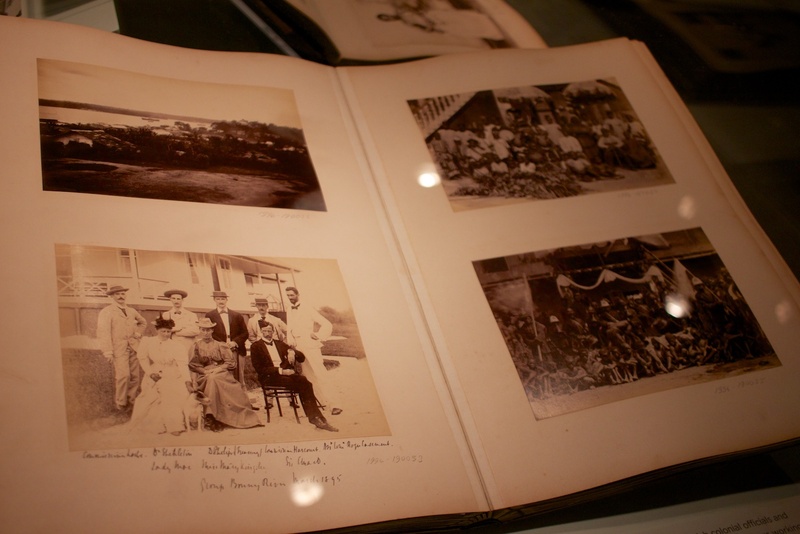 Unfortunately, the African pavilion never materialized, but the Disney company had purchased a massive collection of art from the Tishman family. 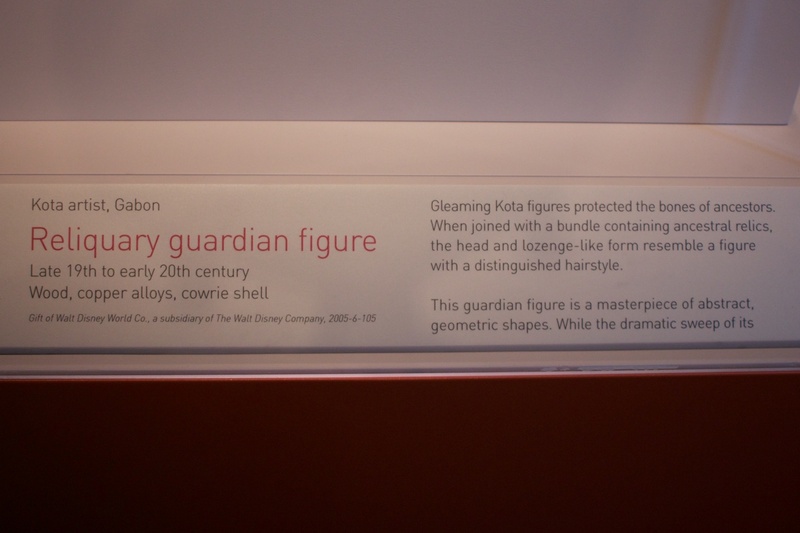 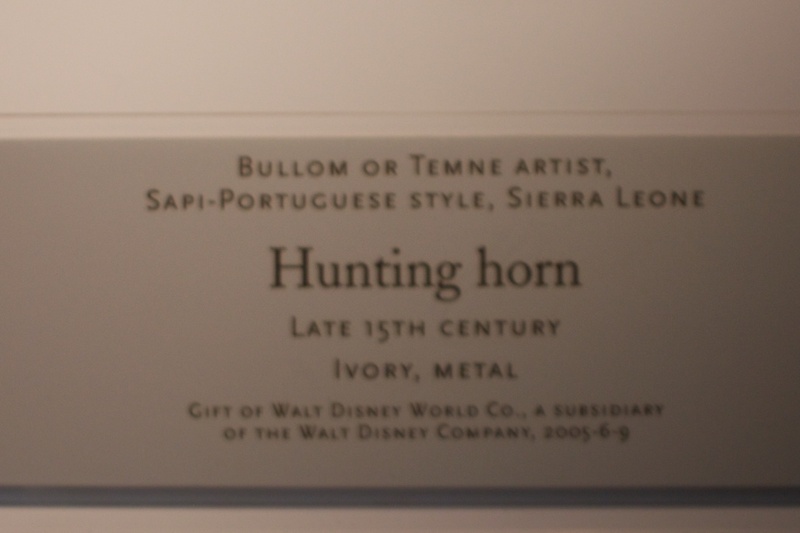 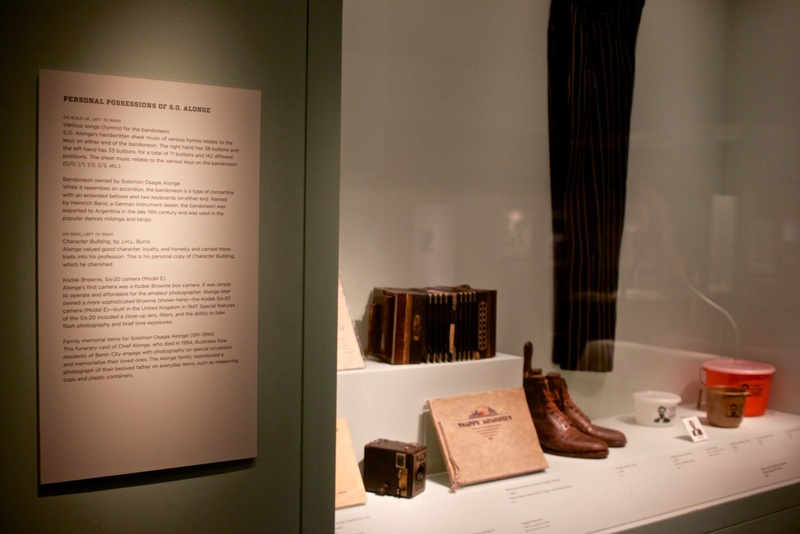 Eventually, Disney donated the never-used collection to the Smithsonian. 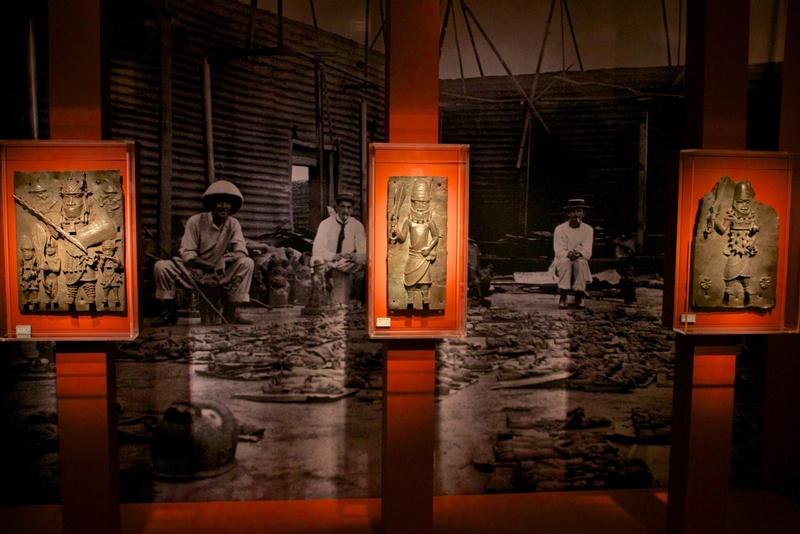 It includes hundreds of artifacts, some of which are still being restored by the museum. 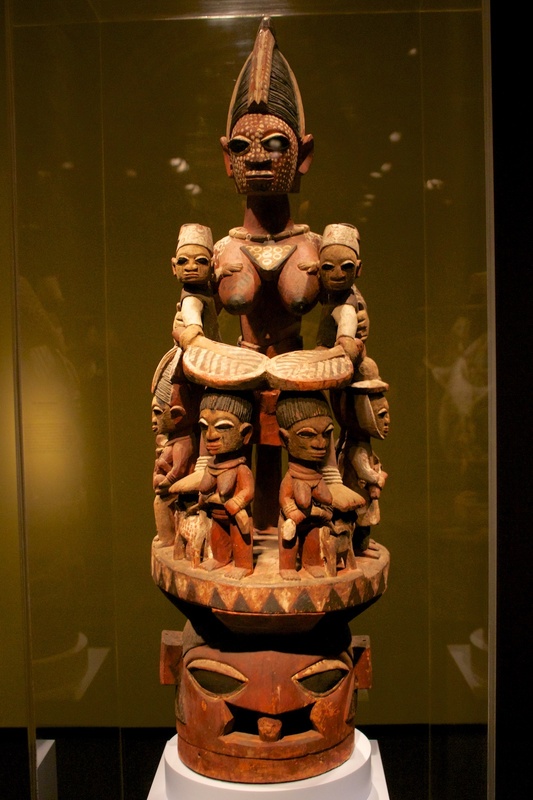 As part of the display you will see decorative bowls, pipes, and masks, the craftsmanship of which is fantastic. 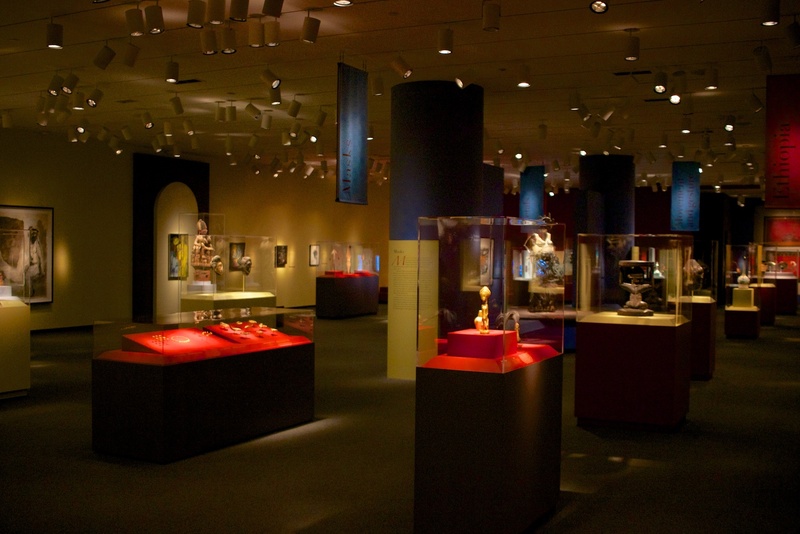 Moving back across the mezzanine brings you to the African Mosaic galleries. 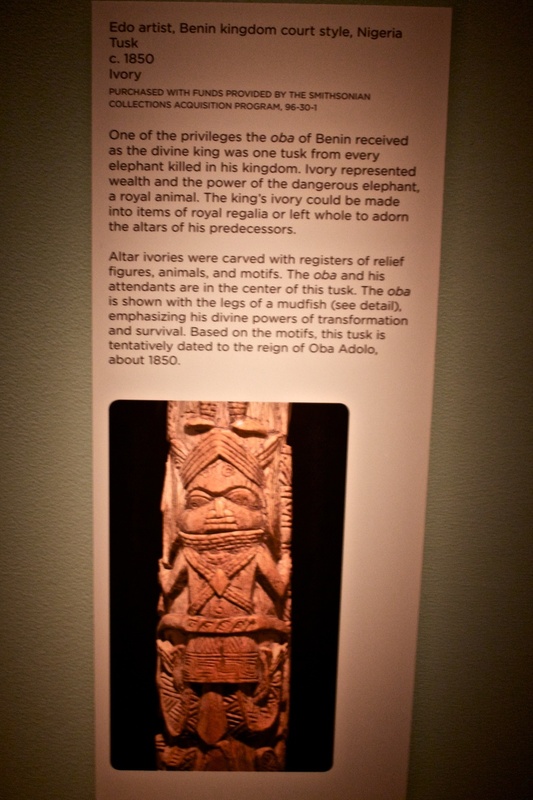 These are pieces from all of Africa across the centuries. 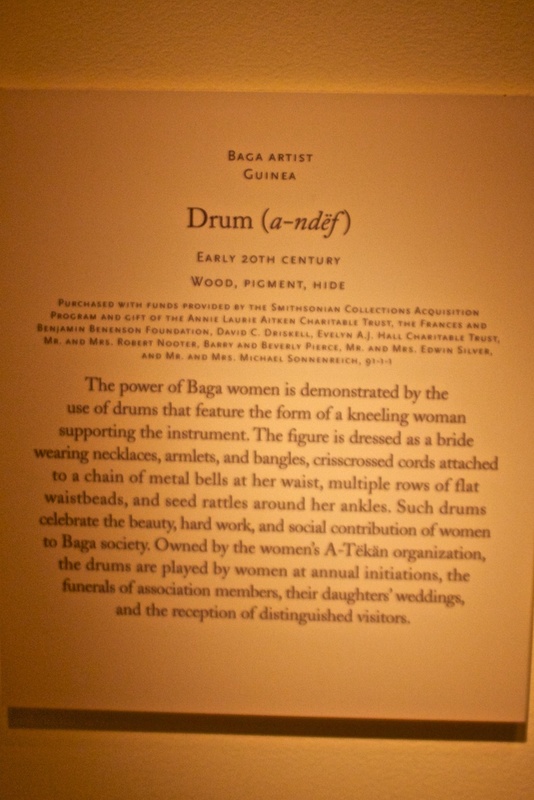 Some of these include tapestries, weapons, musical instruments, and personal adornments, our favorite being massively oversized brass anklets whose discs must have resulted in sever unintentional bruising. 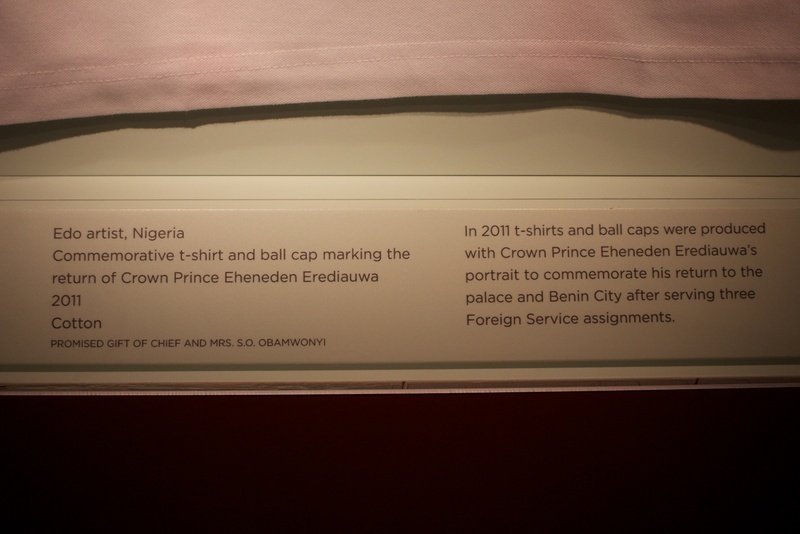 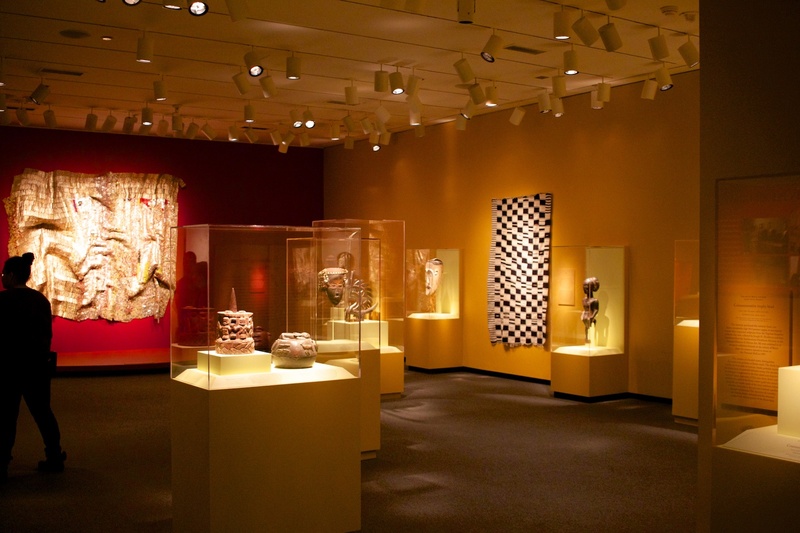 The final room of the permanent collection is the Sylvia H. Williams gallery which contains contemporary African art. 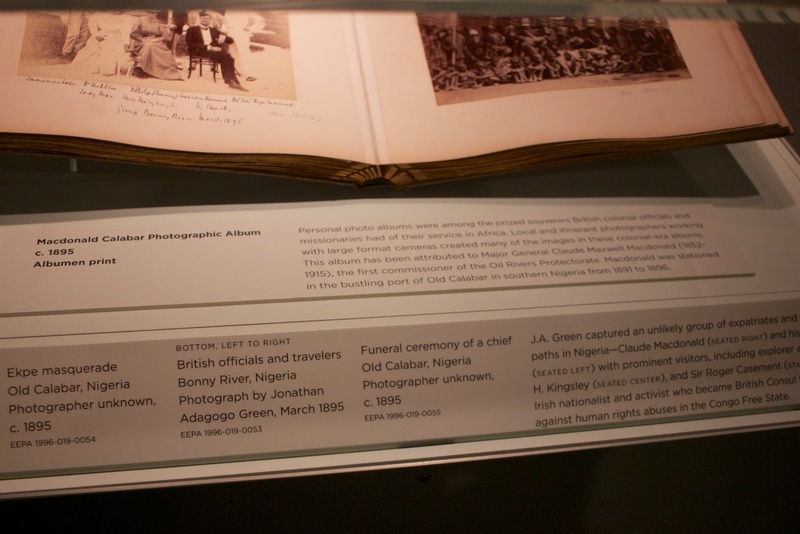 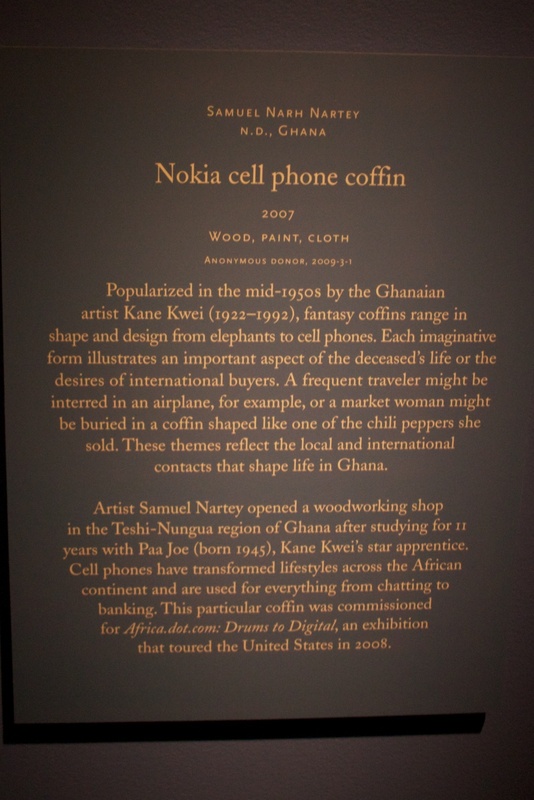 One that caught our eye was a 6 foot tall recreation of a Nokia cell phone which turned out to be a coffin designed by a Ghanian fantasy coffin maker (not making this up). 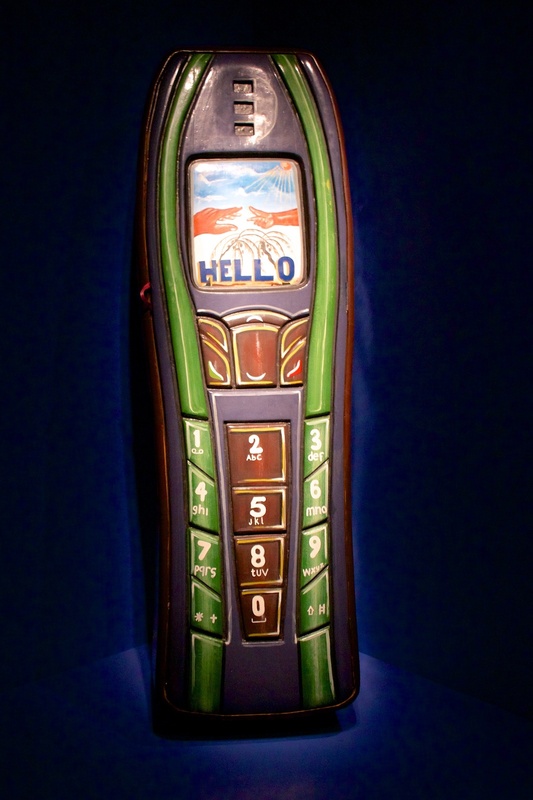 Apparently someone really liked their early 90s mobile phone. 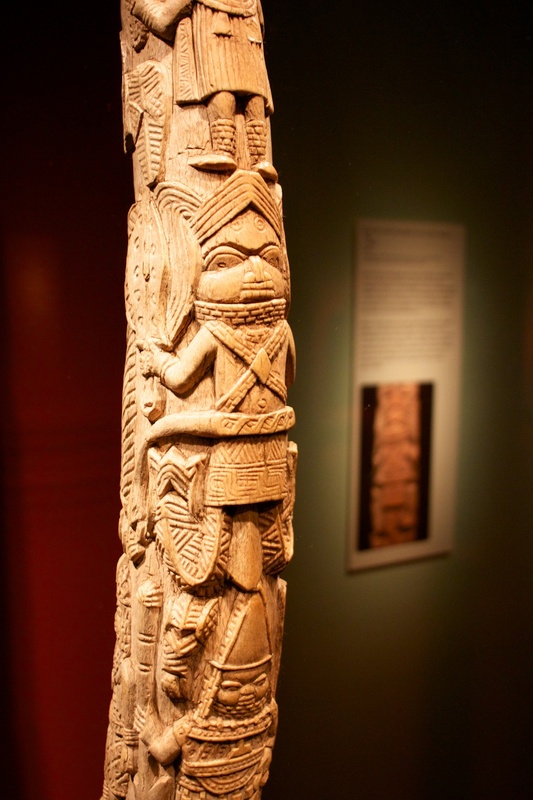 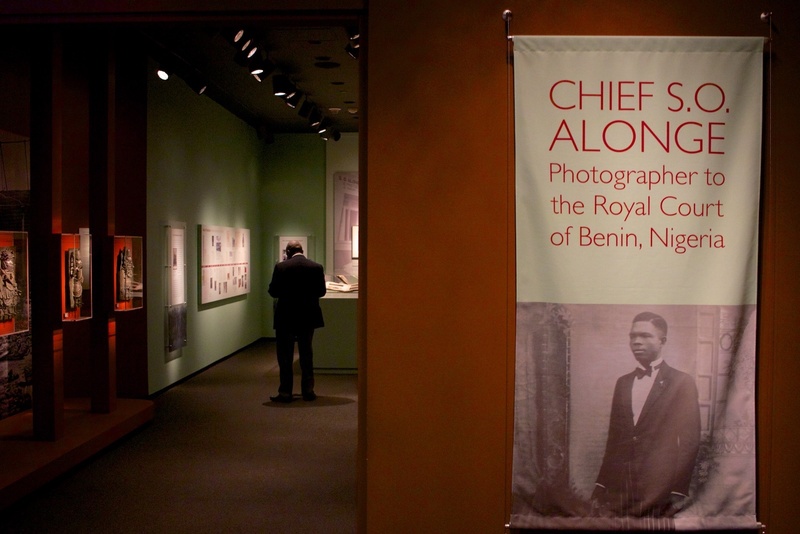 The African Art Museum is currently turning their largest gallery on Sublevel 2 into Special Exhibition space. 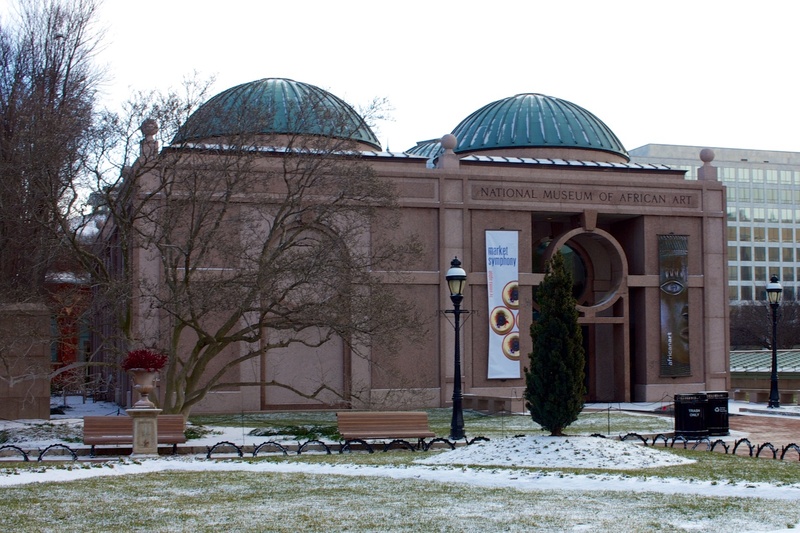 Expected to be completed in 2017, the museum is looking to have many rotating exhibitions, but hasn't actually announced any yet. 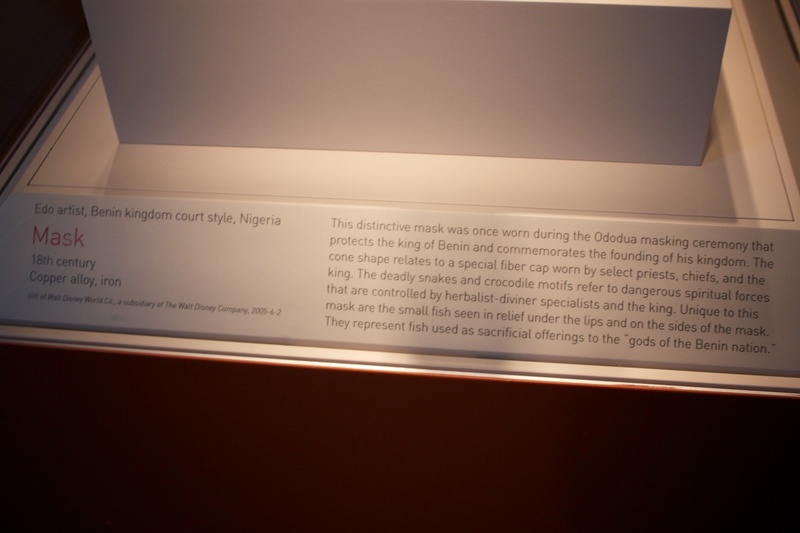 Commissioned from internationally renowned artist Yinka Shonibare MBE, the installation is found at the entrance to the museum. 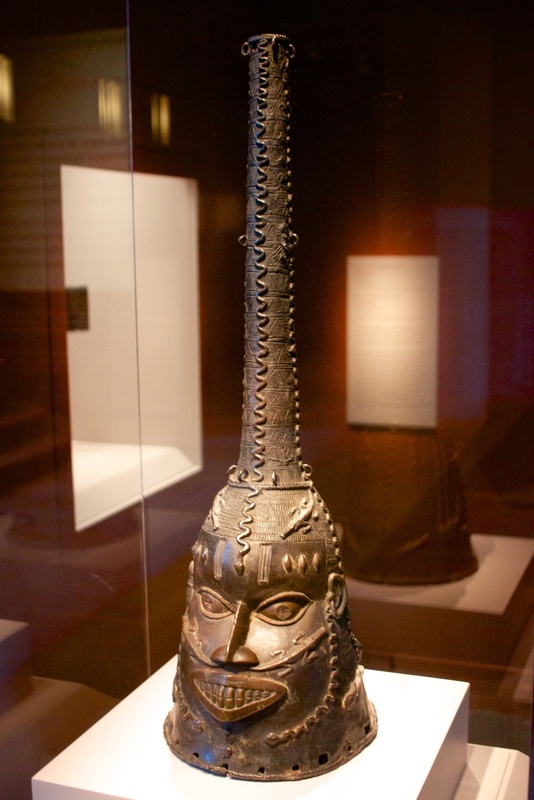 The ship-sail shapes of Shonibare’s Wind Sculpture series evokes cross-continental connections—in history, in trade, in politics, in ideas, and in contemporary art. 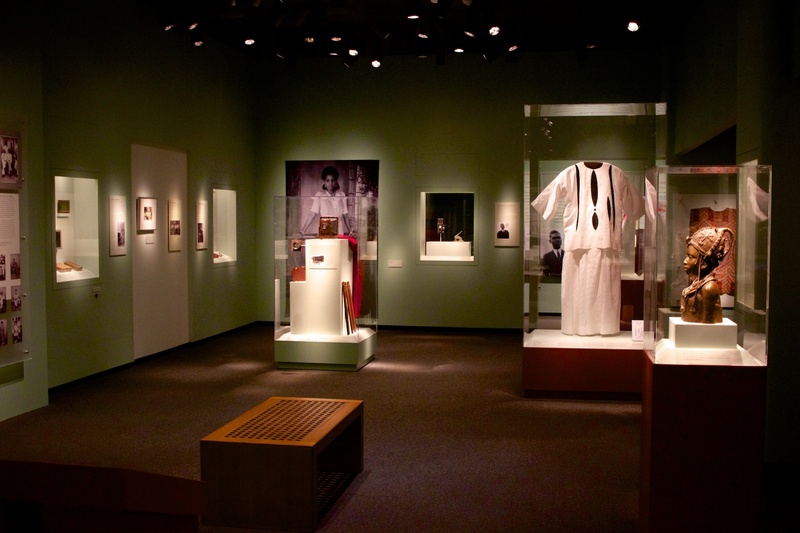 Greeting visitors in the museum’s entry pavilion, select pieces from the museum’s permanent collection reveal the skill and range of African artists who create art empowered to counter physical, social, and spiritual problems. 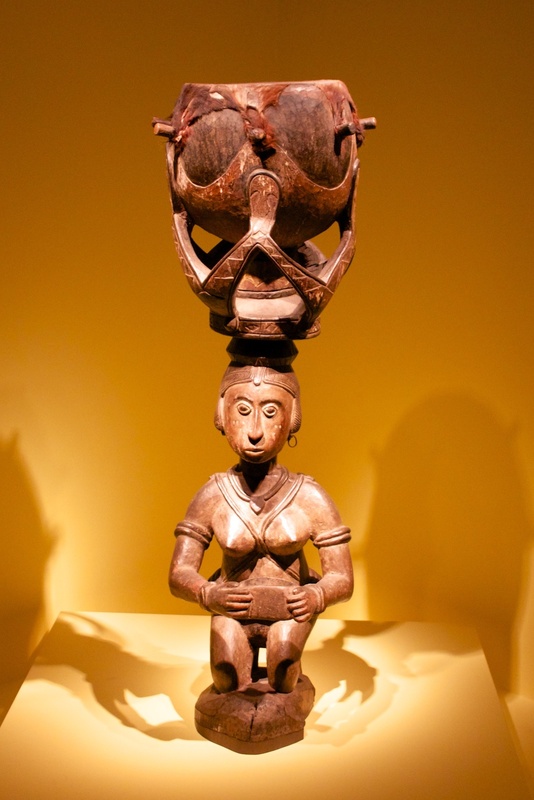 Works of diverse materials and expressive styles might contain medicines, draw upon the power of the divine, or address such global issues as the HIV/AIDS crisis. 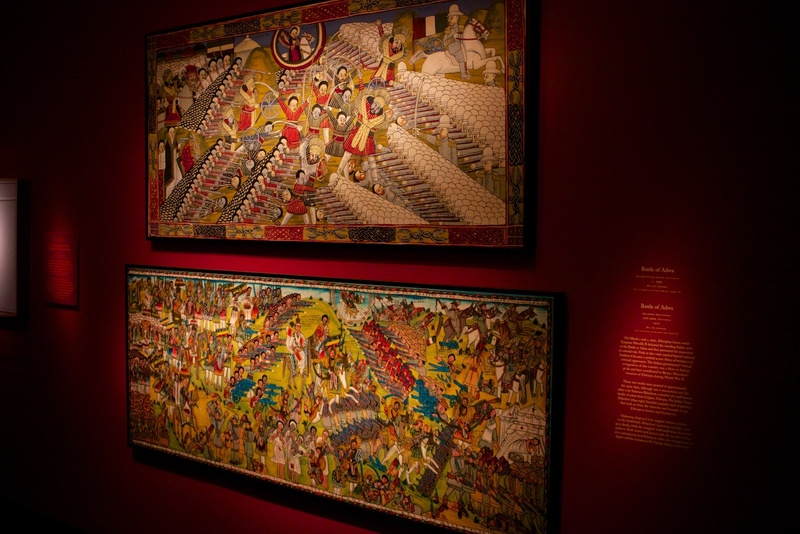 Featuring artworks from the museum’s permanent collection, this exhibition proves that water is one of most potent forces on earth. 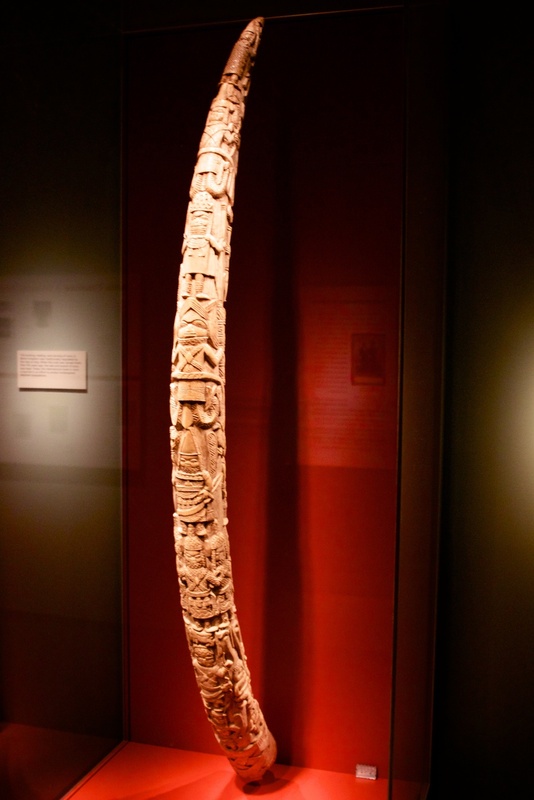 Its currents flow through myths, metaphors, and rituals. 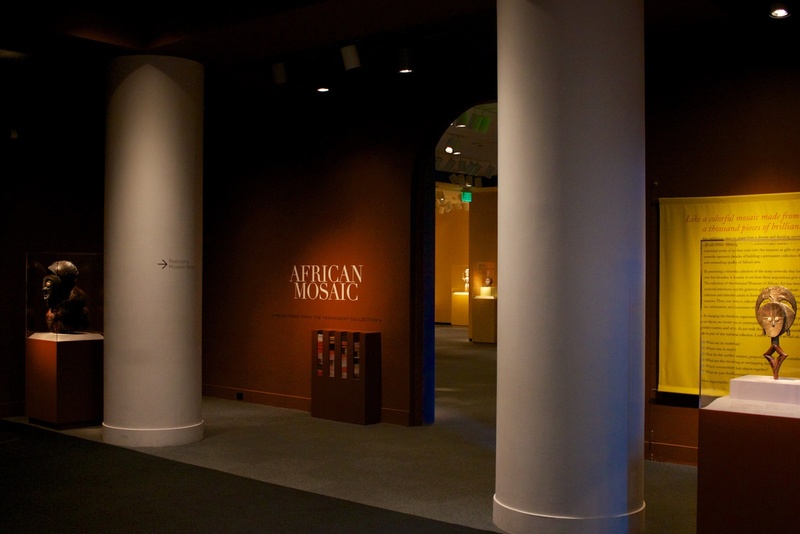 Diverse and wide-ranging in material, time period, style, and intended use, the objects in this exhibition span the continent of Africa to explore the importance of water for both practical and artistic purposes. 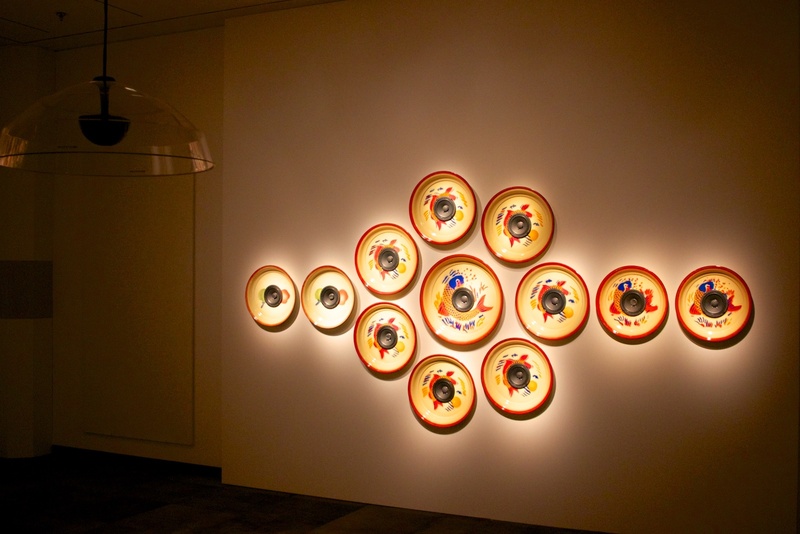 Six internationally recognized African artists examine how time is experienced—and produced—by the body. 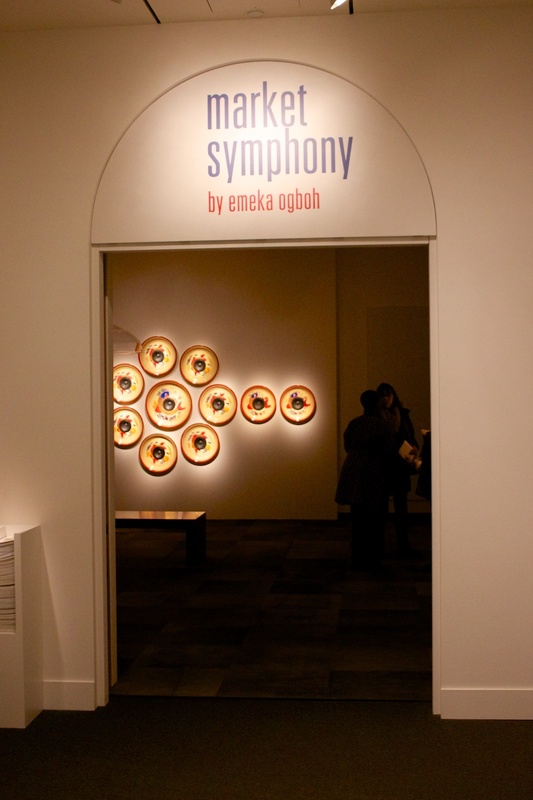 Bodies stand, climb, dance, and dissolve in seven works of video and film art. 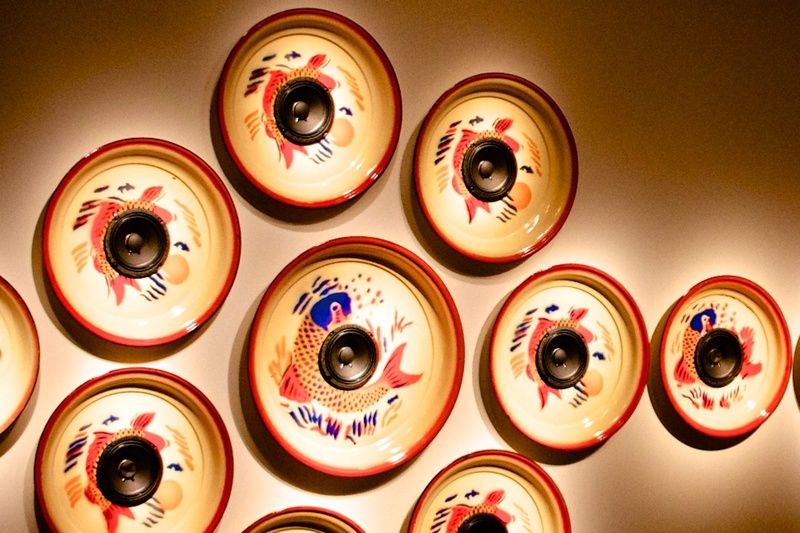 These time-based works by Sammy Baloji, Theo Eshetu, Moataz Nasr, Berni Searle, Yinka Shonibare MBE, and Sue Williamson repeat, resist, and reverse the expectation that time must move relentlessly forward.